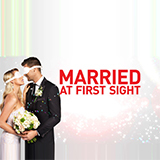 See No Evil is a TV show on Australian national television from Channel 9 with an average rating of 3.4 stars by TVCatchUpAustralia.com's visitors. We have 12 episodes of See No Evil in our archive. The first episode of See No Evil was broadcast in October, 2018. Did you miss an episode of See No Evil but don't you wan't that to happen in the future? Please set an alarm and add See No Evil to your favourites, so we can remind you by email when there's a new episode available to watch. Completely free: handy! On March 18th 2011, 32-year old Patty Ayala is murdered at the Burger King where she works. Police find the safe door open and a message next to her body. With no leads, they turn to surveillance video and the killer is revealed. On 21st November 2014, Jessica Padgett disappears. The only lead is her abandoned white Subaru. Surveillance camera's show her driving her car into the parking lot, and then walking down an alley - she doesn't return. When a young woman is found dead in a Texas landfill, detectives race to discover the killer behind the brutal crime. With no leads police turn to their only witnesses, video cameras that captured the murderer's attempt to cover his tracks. On 2nd November 2014, Carlesha Freeland-Gaither vanishes. CCTV cameras from the scene show she's been violently abducted. The only clues are her cell and the shattered remains of a car window. Can police find her assailant? On a freezing winter night, a hardworking mother doesn't make it home from work. As dawn breaks, her body is found in a churchyard. With the city in panic, Police turn to the city's surveillance cameras to catch a killer. When 15 year old Elizabeth Ennen doesn't return home from a babysitting job one evening, the family and police are left to figure out what has happened to the teenage girl. A mother is brutally Murdered in her home. Her twin Daughters are distraught. Or are they? 19-year-old college student Katie Poirier vanishes while working the graveyard shift at a gas station. It's a family's worst nightmare come true. Grainy security footage reveals an answer, but leaves a community in fear. After 24-year-old Amy Lord is found stabbed to death, police trace her movements using footage from five different ATMs in Boston. Young student Dru Sjodin suddenly vanishes after her shift at Victoria's Secret. Investigators turn to the best eyewitness they have: surveillance camera footage. Dru's last movements reveal the chilling reason for her disappearance.